It is well documented that a malfunctioning IVC filter may cause chest pains and other serious health complications in patients. For this reason, the U.S. Food and Drug Administration (FDA) has warned against the use of permanent IVC filters in favor of “retrievable” models that can be removed. In particular, the FDA has warned doctors that they should never leave filters designed for short-term use inside of patients for an extended period of time. There are presently thousands of lawsuits pending against the manufacturers of IVC filters over defects in the design and production of their products, as well as the general failure to warn patients and their doctors of the potential health risks. Despite the best efforts of the pharmaceutical industry, many of these cases are poised to go to trial. For instance, a federal judge in Illinois recently rejected an attempt to dismiss an IVC filter lawsuit brought against Boston Scientific Corporation. The company has produced IVC filters since the 1970s. At issue in this particular case is a permanent–i.e., non-retrievable–filter manufactured since 1989. Known as the Greenfield filter, this device was not independently evaluated by the FDA for safety prior to its introduction on the market. The plaintiff in this case received a Greenfield filter in 2013. Four years later, doctors discovered a “perforation” of the filter. In layman’s terms, the filter broke inside the plaintiff’s body, posing a significant health risk to the nearby veins and internal organs. Although the plaintiff’s complaint did not point to a specific defect in the Greenfield filter, the judge noted such specificity is not required at the pleading stage of a lawsuit. Instead, it is enough to allege the defendant manufactured a “defective product” that harmed the plaintiff. A complaint is simply the first stage of a lawsuit and is designed to give the defendant proper “notice” of the plaintiff’s claims. That said, the judge did dismiss part of the plaintiff’s lawsuit that alleged “failure to warn” on the part of Boston Scientific. Failure to warn claims usually center on a company’s disclosures of the risks of adverse side effects, or lack thereof. Here, Boston Scientific pointed to its own website and product labels, which indicated the possibility the Greenfield filter was susceptible to “movement or migration” and other side effects. 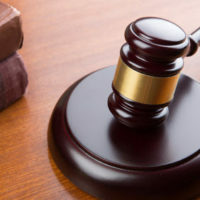 Because the plaintiff’s complaint failed to explain “how the warnings Boston Scientific provided were inadequate,” the judge said she was compelled to dismiss this claim. When it comes to any kind of dangerous or defective drug lawsuit, the more specifics you have, the better. This is why it is critical to engage a qualified Tennessee IVC filter lawyer as soon as you suspect something is wrong. Building a credible case against a major pharmaceutical company takes time and experience. So if you have been injured by a defective IVC filter and need legal advice on how to proceed, contact Fox & Farley, Attorneys at Law, today to schedule a free consultation.